With four home security packages to choose from, Protect Your Home, an ADT Authorized Premier Provider, has the right equipment at the right price. Choose from these ADT Monitored Packages which can include basic home security, basic plus wireless functionality, ADT Pulse, and ADT Pulse + Video–all at reasonable prices. Let Protect Your Home help you get the right system to help protect your home and family today. Looking at the different ADT monitoring packages, several things jump out. When you upgrade from Basic, you’ll get wireless security monitoring included with your package. Also, both ADT Pulse® packages include mobile access and alerts–giving you more control over your home and more peace of mind. And these are just a few of the differences. Call 1-855-216-0548 today to learn more about ADT monitored packages and pricing. Experience matters. ADT monitoring has helped keep families safe for over 140 years and now serves nearly 6 million homes. ADT home security monitoring helps protect your home 24/7 with interconnected monitoring centers located nationwide. For about $1 a day, ADT monitoring offers you peace of mind from burglary and theft, so you can get back to living your life. We don’t believe in the phrase “one size fits all.” That’s why Protect Your Home, an ADT Authorized Premier Provider, customizes your entire experience–from your free quote to your quick and easy installation. The first thing you’ll need to do is research packages and pricing. Then call 1-855-216-0548 for more details. When you call Protect Your Home today, a qualified representative will help you pick the right package for you and your home. We’ll then send a trained security advisor and installer to your home to help ensure you receive a security system specifically designed for your home and family. During the visit, we’ll measure your house size, help you budget, and recommend equipment that suits your home and price point. Scroll down to learn more details. After your security advisor has offered suggestions for your home, you decide what works best for you. 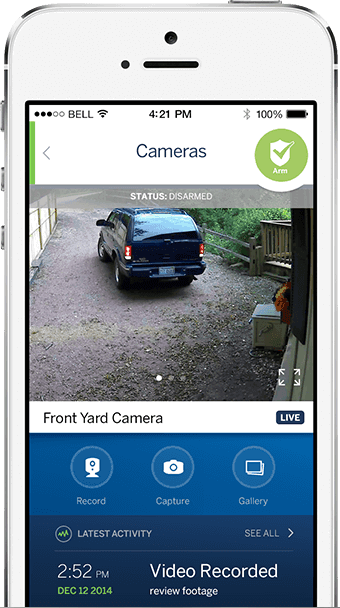 With your new free* security system, valued at $850, as a base, add any extra equipment to customize your system to help you feel secure. Once you’ve decided how to help secure your home with a system and any added equipment, your system will quickly be installed by your advisor. Find out your personalized ADT cost with a free quote today. Protect Your Home offers a variety of ADT monitored packages for your unique lifestyle. Discover the right fit for your household by filling out the form or calling 1-855-216-0548. We’ll give you a call today! Call 1-855-216-0548 or complete the form for a free quote.